This description is for informational purposes only. For additional information, please consult the Maryland Code and the list of Additional Resources at the end of this section. Anyone seeking legal advice should contact a qualified attorney. Maryland law gives “artisans,” including laborers, mechanics, repairpersons, tradespersons, dry cleaners, and launderers, as well as contractors and subcontractors, a lien on property they build, repair or clean, to help ensure they get paid for their work. If the owner of the property fails to timely pay the worker, the law allows the worker to enforce the lien by selling the property and keeping the proceeds necessary to make up for any payment shortfall. If the sale proceeds exceed the amount owed to the worker, then the owner may keep the remainder. For example, if a clockmaker performs a $150 repair on a customer’s clock, the law automatically gives the clockmaker a lien on the clock in the amount of $150. If, within 90 days, the customer pays the clockmaker only $50, the law allows the clockmaker to sell the clock and keep the proceeds necessary to complete the payment. Thus, if the clock sells for $125, the watchmaker may keep $100 of those proceeds, which equals the difference between the amounts the customer owed ($150) and the amount the customer paid ($50) the clockmaker. But the remaining $25 in sale proceeds must be paid to the customer. In this way, the clockmaker recovers the amount she is owed, but no more. any other documents necessary to support the claim. Within one year after a plaintiff files a petition to establish a lien, the plaintiff may file a motion to enforce the lien. If the court grants the motion, it will issue an order setting a deadline for the owner to pay the amount of the lien and providing that, if the owner fails to meet the deadline, the land will be sold and the proceeds used to pay the plaintiff. For artisans, contractors and subcontractors seeking payment through the establishment and enforcement of artisans' or mechanics' liens, the following resources may be helpful. Robert D. Klein, Maryland Civil Procedure Forms Title 12: Chapter 300 (3d ed. 2000). 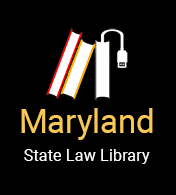 Paul Mark Sandler & James K. Archibald, Pleading Causes of Action in Maryland (5th ed. 2013). Eliot M. Wagonheim, The Art of Getting Paid: The Business Owner's Guide to Managing Receivables and Collecting Debts in Maryland (2003). 15 Md. L. Ency., Mechanics’ Liens. For legal advice on artisans' or mechanics' liens, please contact a qualified attorney. This form may be used by a judgment creditor to ask the court to release a lien on property when the judgment has been satisfied. Under Rule 3-626, upon being paid all amounts due on a money judgment, the judgment creditor shall furnish to the judgment debtor and file with the clerk a written statement that the judgment has been satisfied. This form satisffies the rule. This form asks the court to file a lien on property a judgment debtor owns in a county. The lien will be lifted when the judgment is satisfied.